While we are excited to keep you updated with more exciting airline opportunities in 2016, let’s take a look at the 5 most popular post in the previous year. These post are ranked based on page views recorded in 2015. Salary information of various airline continue to attract the highest attention by those who intend to start a career in the airline industry, current airline crews as well as airline companies who want to survey and research on what other companies are paying their employees. Regardless of whether it is in good times or in an economic downturn situation, a pilot career always attract huge attention and highly popular among school leavers. The good news is, more and more airline companies are hiring female pilots and it is not what it used to be as it is previously being seen as a career only for man. The China and middle eastern airline is hiring pilots aggressively with their rapid expansion offering potential candidates higher than average salaries and benefits. Singapore Airline continue to be the most preferred airline choice for newbies and those who have gain experience in other airlines to grow in their flying career. With an extensive destination in their route network, they offer potential candidates an opportunity to travel the world and gain valuable experience.They have increased their salary to SGD 4500 - 5000 recently. Recently awarded the World's Best Low Cost airline in 2015 by SkyTrax, Air Asia remain to be hugely popular among the readers here at FlyGosh. With an expanding network including the upcoming Auckland and Hawaii routes, it offers potential candidates an opportunity to join a fast growing airline. With more than 20,000 cabin crews worldwide and an extensive recruitment event in almost every countries throughout the year, Emirates continue to attract those seeking for more information on how to excel and succeed in the interview selection process. 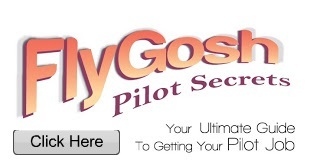 FlyGosh.com has served more than half a million unique visitors ( users ) last year and recorded close to 1.2 million visits ( sessions ) with a massive 2.585 million page views in 2015.